I am a huge fan of John Green and also very much enjoyed Every Day by David Levithan. Still, I wasn’t sure how their co-written YA novel, Will Grayson, Will Grayson, would measure up. Once I looked into their writing process, how the authors collaborated was almost as interesting to me as the story itself. Instead of trying to agree on each aspect of the book Green and Levithan split the work evenly down the middle. They began with a concept – two boys with the same name meeting. Green wrote the odd numbered chapters and Levithan wrote the even ones. Levithan chose the first name: Will. Green chose the last name: Grayson. They wrote their parts separately and the rest, as no one in the novel would say because it is much too clichéd, is history. Here is the goodreads blurb: One cold night, in a most unlikely corner of Chicago, two teens—both named Will Grayson—are about to cross paths. As their worlds collide and intertwine, the Will Graysons find their lives going in new and unexpected directions, building toward romantic turns-of-heart and the epic production of history’s most fabulous high school musical. Where I think the novel really succeeds is in the differentiation between each Will Grayson, especially when it comes to the development of each Will’s voice. The chapters alternate between each of their first person points of view. 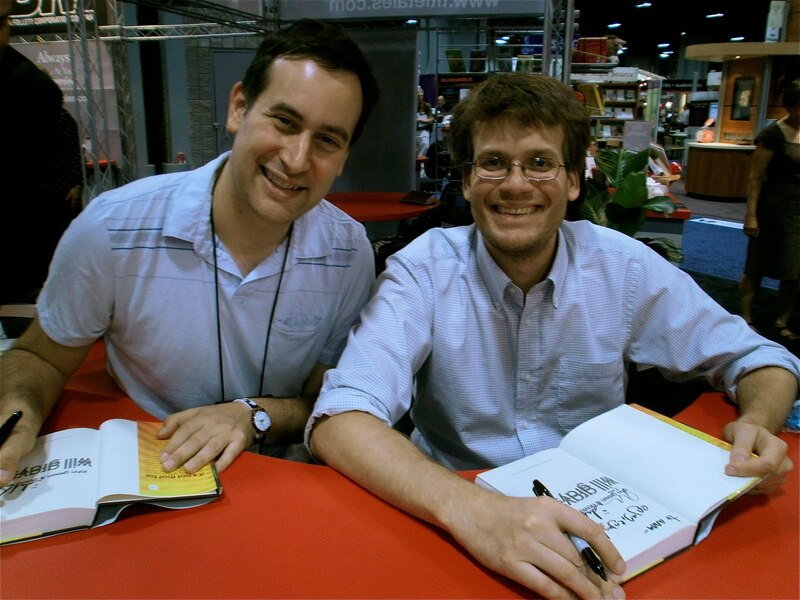 John Green’s Will is a masterful balance of self-aware and emotionally immature. He lists his own two main rules for life as “don’t care too much” and “shut up” believing that all pain and awkwardness can be avoided if they are followed. He often acts in contradiction to this desire to stay under the radar, for example by being best friends with the flamboyant Tiny Cooper (more on him in a moment). Levithan’s Will Grayson, while showing equal capacities for wit and intelligence, is a completely different character dealing with a harsher set of issues. He is a closeted gay teen struggling with depression. He comes from a much less affluent home with a single mother. Levithan omits the use of any capital letters, which helps distinguish his sections from Green’s. Levithan also used a more script-like way of presenting dialogue, with the speaking character’s name followed by a colon instead of quotation marks and he said/she said. Levithan’s Will has a darkness that sets him apart. Even when he is being funny he is never lighthearted. Tiny Cooper is the novel’s unifying character. He becomes a major character in both Wills’ narrative. He is the kind of character readers will either love or hate. I think how you feel about Tiny will determine if you love or hate the book and if you think the over-the-top ending is too cheesy (something I’ve seen mentioned in many reviews). It’s hard to describe Tiny as anything other than large – both in personality and physicality. Green’s Will introduces the character saying: Tiny Cooper is not the world’s gayest person, and he is not the world’s largest person, but I believe he may be the world’s largest person who is really, really gay, and also the world’s gayest person who is really, really large. It is a major accomplishment for both writers to include this unique character in a consistent way. I think the descriptions of him point to another main strength of the novel: the character’s ability to take on big issues (sexuality, mental health, isolation, body image) with both the respect they deserve and the irreverence teenagers often treat them with. This balance is the side effect of two highly intelligent and clever characters paired with unapologetically intelligent and intentional writing full of puns, pop culture references, and rude words. 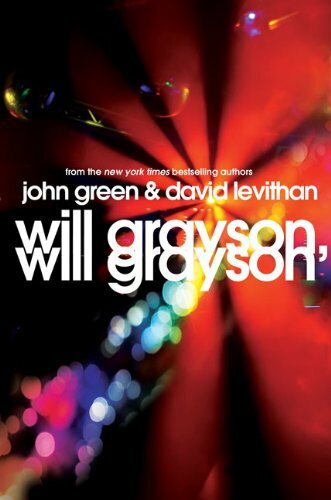 Will Grayson, Will Grayson is a must read for fans of contemporary young adult fiction or either author. I think John Green and David Levithan really brought out the best in each other through the creation of the two Will Graysons and their unique story. This entry was posted in Book Reviews & Cover Reveals by KateBrauning. Bookmark the permalink.